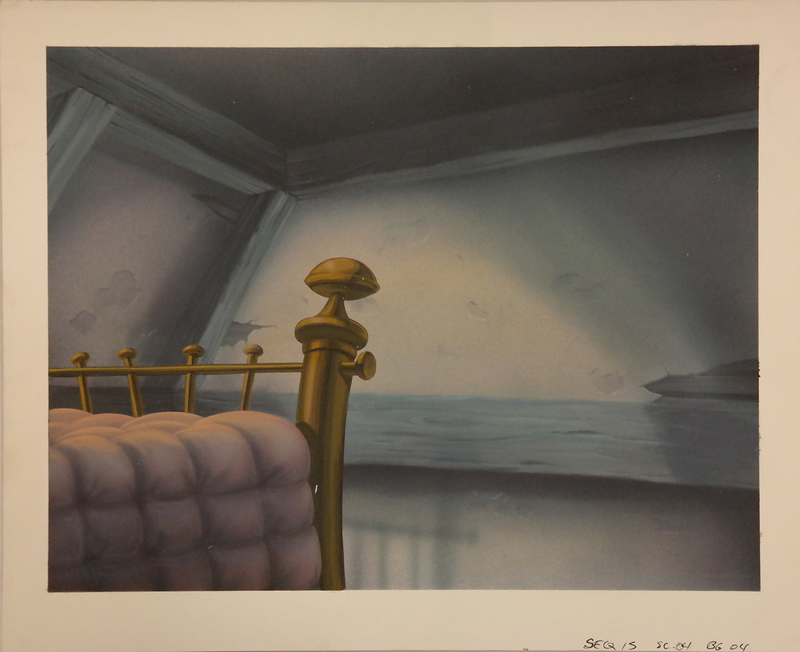 This is an original concept painting for the 1992 film, Tom and Jerry: the Movie. This concept painting was used as a background color key to develop the color pallet and look of a scene in the film. The illustration board measures 11" x 13" overall.